Do YOU Understand The New Cell Phone Laws? What this bill means for EVERYONE in the state is simply that texting behind the wheel on any handheld electronic device is against the law. Violators will be subject to hefty fines that increase with each subsequent offense from $100-$250-$500. Texting while driving has also become a primary offense, which allows Law Enforcement Officers to stop any motorist suspected of texting. 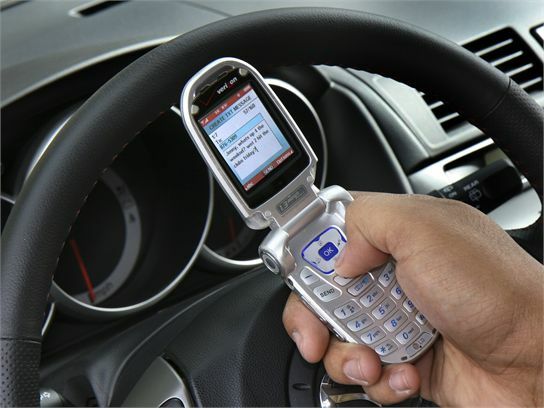 However, texting while driving is not considered a moving violation and is not subject to an insurance surcharge. Additionally, under the new law, any driver who acrews three or more surchargeable incidents within a two year period will be required to take a driver retraining and safety course or face the suspension of their license. Drivers under 18 cited for using any type of cell phone or mobile electronic device with or without a hands-free feature will be subject to a $100 fine and a 60-day suspension of their driver’s license. Offenders will also have to complete a driver attitudinal retraining course before their license is reinstated. The MassDOT Registry of Motor Vehicles will also require any driver age 75 or older to renew their license in person at an RMV branch or office location and undergo a vision test every five years. The division will also develop standards to help law enforcement, health care providers and families better assess a driver’s ability to handle a vehicle safely. It’s never convenient to completely disconnect from the communicating world when on the road, but this legislation represents Massachusetts taking a step towards safer driving in a state that already bears a reputation for aggressive and antagonistic drivers. The legislation will ultimately serve to make the roads safer for all of us. As an insurance company, our job becomes significantly easier when drivers exercise good habits, and we strongly encourage all to follow the new legislation, even before its activation in October. And for insurance and risk management solutions coupled with topical and relevant insurance information, visit us at our homepage. Filed under Auto Insurance, Uncategorized Tagged with advanced driver training, ban on Texting, cheap driving lessons, driving lessons, driving schools, governor's office, safe driving bill, safe driving tips, texting while driving bill, what does the safe driving bill include, what does the texting while driving bill mean? Last week, the so-called safe driving bill was passed and sent to the Governor. The bill makes texting while driving a primary offense, but also includes content pertaining to drivers under 18 and over 75. The bill represents an attempt to make the roads safer for everyone driving, and comes as a response to the string of widely publicized car accidents this past year. Makes texting while driving a primary offense, meaning police can pull over motorists they believe are texting while driving. The offenses would not be surchargeable for insurance purposes. Requires the Registry to develop regulations to help identify cognitive or functional impairments likely to affect driving ability, standards that law enforcement and health care providers can use to assess a driver’s ability. The bill also permits physicians or law enforcement officers to report, with civil liability protections, to the Registry when they believe an operator is not physically or medically capable of driving safely. Lowers the threshold that triggers Registry scrutiny. Drivers with five or more surchargeable offenses within a three-year period are subject to an exam to measure their capacity for driving; the bill would switch that standard to drivers with three or more surchargeable incidents within a two-year period. For Insurance and Risk Management Solutions and relevant insurance information, visit the Andrew G. Gordon, Inc. website.